The Wilson Zonar BLX (WRT817200) badminton racket is designed to be extra light (79g) and very maneuverable with an even balance (30.5cm) to give player fast swing speed for faster reaction. This brand new Wilson Zonar BLX sets a new standard for players seeking speed an dpower combined with the exclusive feel of BLX technology. It also has the new Isometric square head shape for more power and larger hitting area or sweetspot. BLX is the new Wilson racket technology engineered with BASALT fibers combining proprietary frame, grommet and grip technologies for THE PERFECT FEEL. 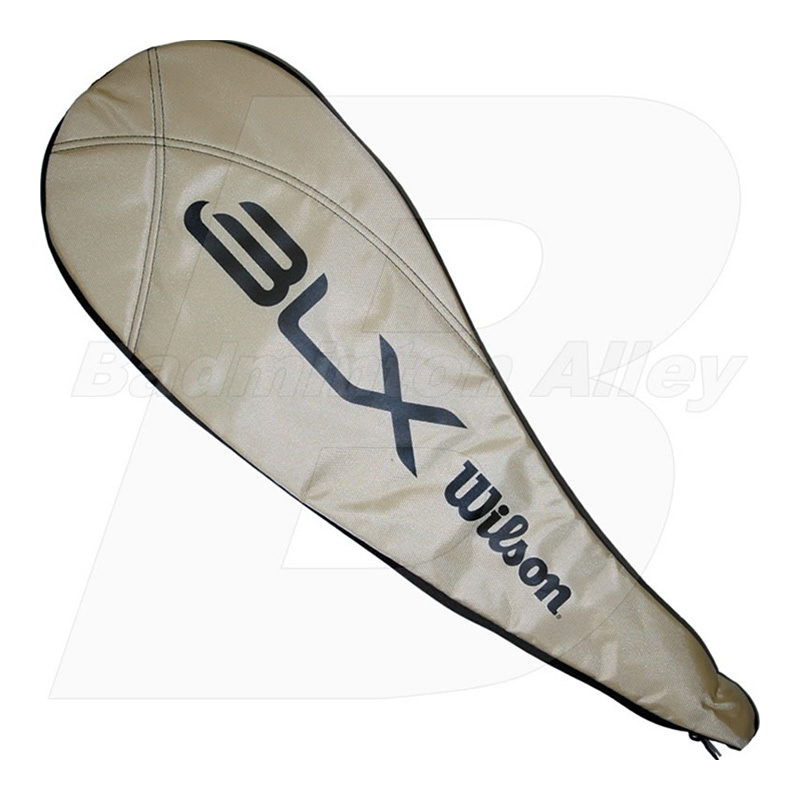 BLX allows the manufacturer, in this case Wilson Sporting Goods, to fine tune the composition, geometry, grommets and grip of each racket to maximize the feel for each player type. All is left is for the stringer or retailer, e.g. 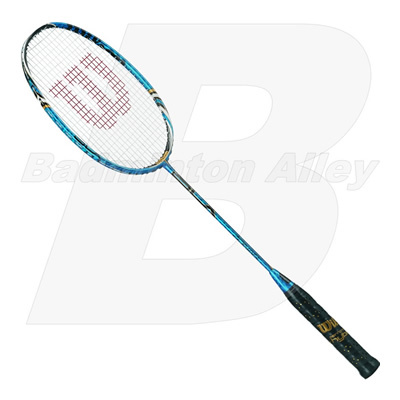 Badminton Alley, to customize the right string and tension to meet the customer type of play. The addition of BASALT fibers to the graphite matrix filters out the unwanted, extreme frequencies that are uncomfortable and distracting from the pure sensation of the racket to achieve a cleaner feel at shuttlecock contact. String: Custom Strung with Yonex BG-65 badminton string. String upgrade is available. Flexible seems to be for slow and steady players while stiff is instead for "explosive" players. In golf, flexibility is solely based on swing speed. I have more power (from more flexibility) as well as control only if I use slow and deliberate motions. A head heavy racket (not this one) is better for someone with less strength and power as people should likely buy a racket to assist weaknesses, not strengths. This racket is durable. Mine's been heavily dinged without any chips. It's lightweight (79g or 87g with two light grips) and attractive. It is "balanced" (neither head or handle heavy) but that of course depends on grip weight and where it's held. It is designed for 26-30 lbs (for control). It provides good feedback with less vibration, so good for slicing (hitting on an angle). It is long discontinued and hard to find but worth it you've decided against traditional racket design. Really light racket with good whip. I played mixed double with this racket and it really help me to react fast on the net and get very good defense out of it. Offense is pretty good also. Overall, it is an excellent doubles racket. Don't think that the Wilson Zonar racket does not give you power. I got way LOT more power on this racket compared to my Yonex Voltric 7. The racket is really easy to play with. I was swinging so fast and defending my opponent smashes so easily that I think I need to play more games to get more exercise. Power was no problem. This racket just whipped the bird sharp, fast, and accurate. My friend was very impressed with my performance and my game after I started using the Zonar. Wilson Zonar with Yonex Nanogy 99 at 23 pounds. Just got this racket for about 2 weeks using BG-85 @ 25 lbs while it was on sale. Racket is very light and produce pretty good power for my double game. So far I am very impressed and satisfied with the performance.